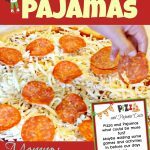 This free printable children’s meal planner will help your child to easily plan out a meal for your family. Learning not only how to cook, but how to meal plan is a life skill every child should learn. My daughter has shown an interest in learning to cook lately. I figure this is a great time to introduce her to cooking. So, I assigned her a day of the week to cook dinner for our family. Each Wednesday she has been choosing a recipe and I have been teaching her how to create her chosen meal. She has been doing so well and learning so much along the way. Also, she is super proud of the meal she prepares. Which has been a nice bonus. Since it has been going so well I want to expand on the idea. By not only teaching her how to cook but how to plan and prepare for a meal as well. 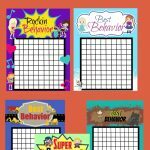 In order to teach her these skills, I created this printable menu planner. 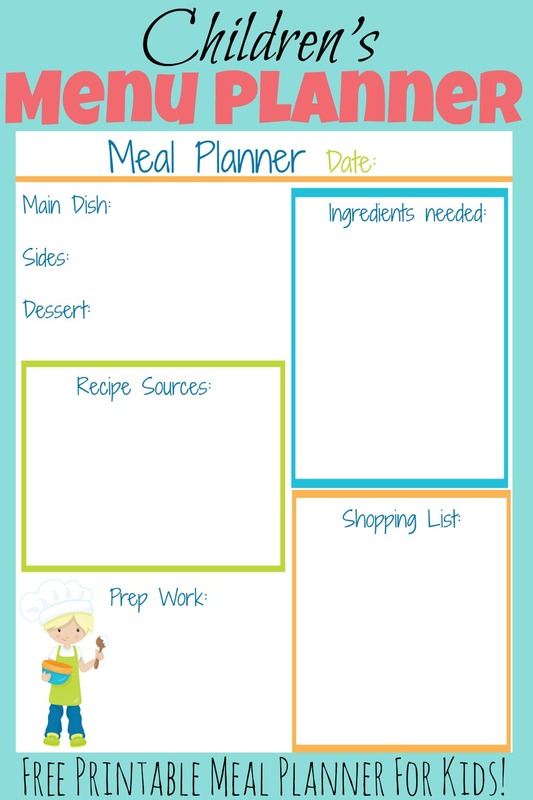 The meal planner includes all the spaces your child will need to plan out their meal.At the top of the page, you will see a space for your child to fill in a choice for the main dish, side dishes, and dessert. I plan on checking out some children’s cookbooks from the library and letting my daughter choose a recipe she would like to try and make. I will probably start with having her just cooking a new recipe for the main dish and have her just plan out simple sides to go with it. 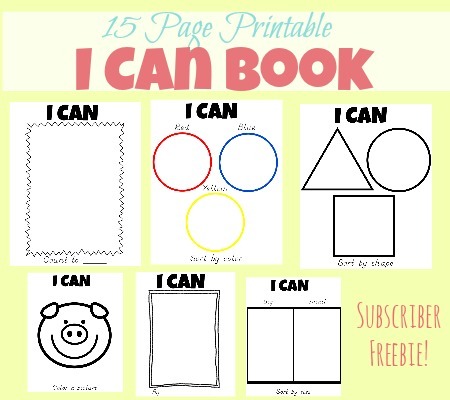 The printable also includes two places to create lists. One list for all the ingredients your child will need to make their meal. The second list is to write down the items you will need that you don’t currently have on hand. 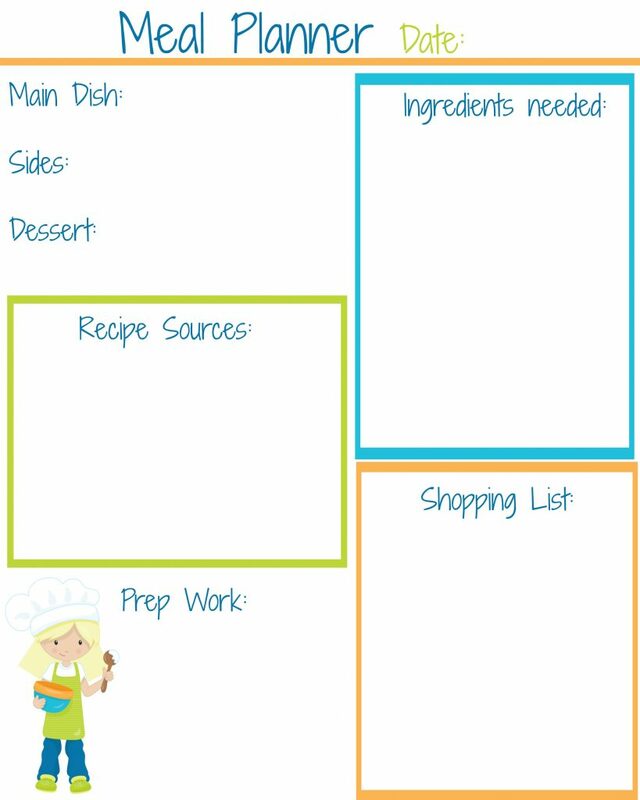 The recipe source space is a place for your child to write down where they find the recipe for the dishes they are planning on cooking. This way when it comes time for them to prepare their meal they know right where they can look to find their recipe. 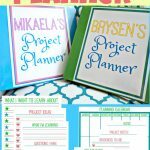 The last space on the planner is a spot your child can write down any prep work they will want to have done before they are ready to cook. For example, if they are using frozen meat in their meal they may need to pull it out to thaw prior to cooking. I don’t know about you but I find that for me as an adult the hardest part about cooking dinner isn’t the cooking. It’s the planning and shopping that seems to be a challenge. By teaching my children while they are young how to cook, plan and prepare a meal I hope they will find it much easier when they are older. I hope that your child will enjoy using this planner as well to plan out a meal for your family. Please feel free to download a copy by clicking the text below. Enjoy!